What's in the Influenster ModaVoxbox?? I was pretty excited about this Voxbox. I believe this is either my fourth or fifth one, but let me inform you about what Influenster is. Influenster is basically a company that you sign up for and based on your social media influence like how active you are, how many followers you have, and the interactions you have on the following social networks (Facebook, Instagram, Pinterest, Twitter, Tumblr, Youtube, personal blog). Over time you will eventually receive an email about a future box and in order to receive a box you must complete a survey to see if you pre-qualify. If you qualify, you will receive a confirmation email and you're in. Once you receive your Voxbox you must do different tasks like writing reviews, creating Youtube videos or Pinterest boards, and Tweeting about the products. If you complete these different tasks you will have a chance to win other free items. I've won a few of these prize boxes and I was pretty happy about it. If you're interested in joining, just sign up here. NOW... ON TO THE GOODIES!!! 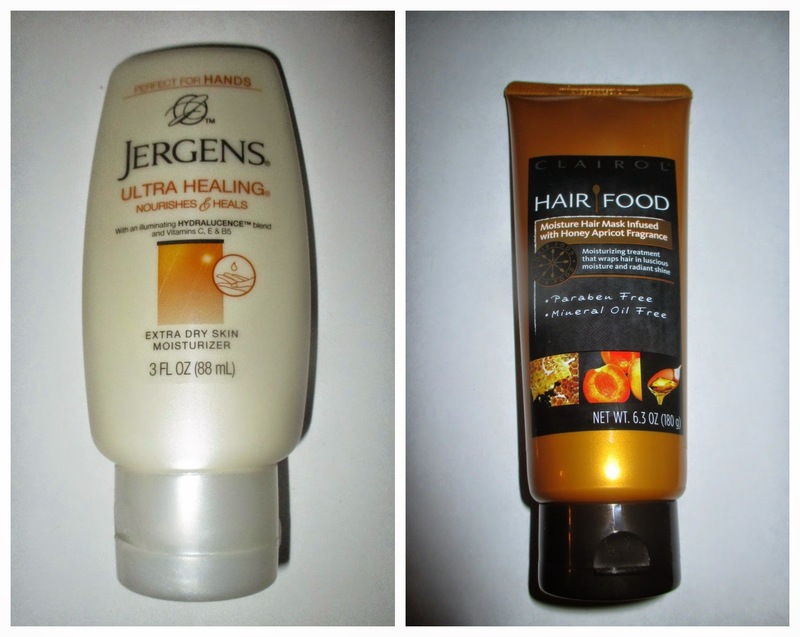 The Jergens Ultra Healing Extra Dry Skin Moisturizer makes my hands extra smooth. I've been using it since I got my box a month ago. I have pretty dry skin, so I love that it helps lock in moisture. It also smells really good. I was extremely excited to try the Hair Food Moisture Hair Mask by Clairol because it's paraben free and mineral oil free. I also was excited to try it because it is a Clairol product and I love their brand. I received the Moisture Hair Mask infused with Honey Apricot fragrance and thee smell is amazing. After using this a few times I noticed that my hair seemed to shine a bit more and I didn't get dandruff as quickly as I usually would. After I use the entire bottle, I'll do a more in depth review. 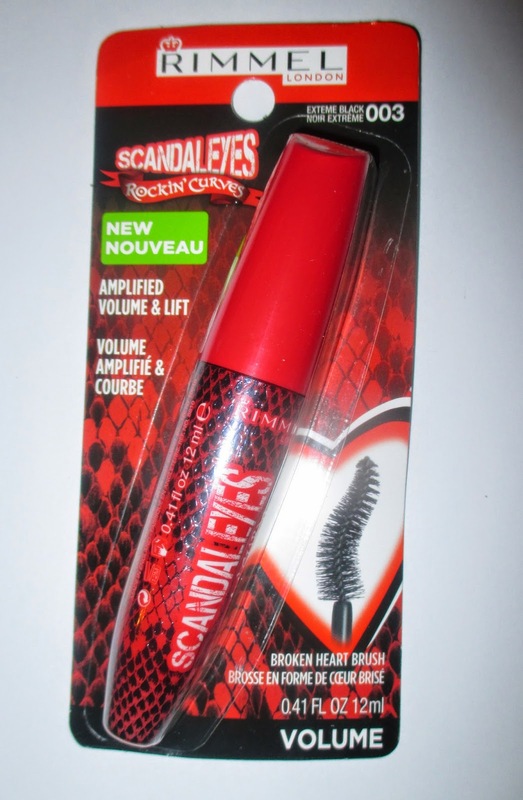 I enjoyed using the Rimmel London Scandaleyes Rockin' Curves Mascara. I tried the first Scandaleyes mascara, which was the Retro Glam in a previous Influenster box and I absolutely loved it. The Rockin' Curves mascara didn't disappoint me either. I already have pretty long eyelashes, but this mascara helped extend them and made my lashes really defined. I have been using it almost every single day since I received it, except my no makeup days. The Rimmel London Moisture Renew Lip Liner and Rimmel London Moisture Renew Lipstick in the color "As You Want Victoria" 360 really surprised me. Check out my review on it here. I drank the Resource Spring Water earlier today, after I worked out. It tasted pretty good. I love that it has natural electrolytes and that the bottle is made with 50% recycled plastic, which means it is eco-friendly. I hadn't drank Swiss Miss Simply Cocoa in years. I feel like the last time I drank it was when I was in middle school. It kind of tastes different from what I remember. I'm not exactly sure what it is, but it does taste a bit different. It wasn't too bad, considering I'm lactose intolerant. Last, but not least Puffs SoftPack tissues. I am so glad that I had these because flu season is happening and there is a ton of sneezing in my house. I had a runny nose a few times this past week and it was a big help. Check out my recent post on "How to get rid of a runny nose" featuring Puffs. Overall, I loved the Influenster #ModaVoxBox. I hope that I will be able to receive another Vox Box soon. Are any of my readers Influensters or are any of you guys considering joining? ** I received all of these products for free to test from Influenster.